Almost nothing can beat the warm, loved feeling that you get when someone takes the time to give you a gift, whether it be a thoughtful, hand-picked item that you’ve been eyeing, the gift of their time or service, or even just a simple “thinking of you” card. 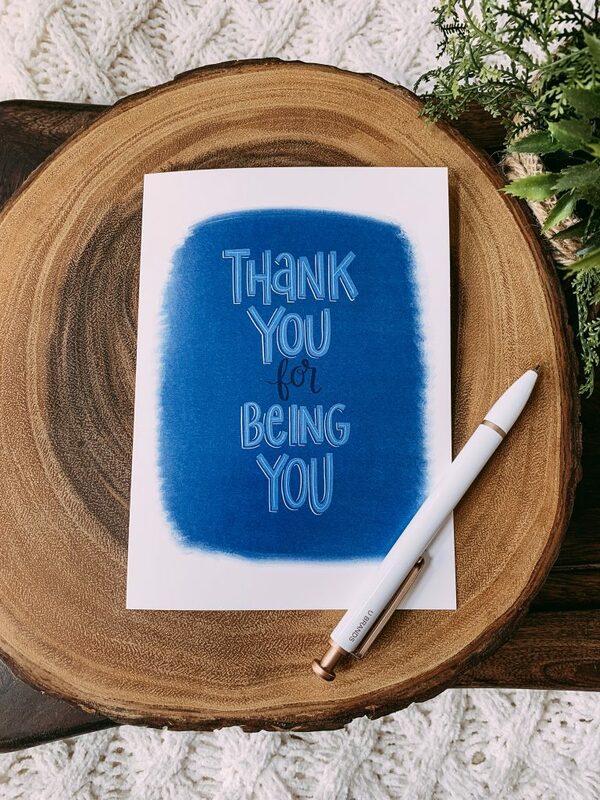 I LOVE sending cards and picking out meaningful gifts for the people in my life, and it’s extremely special to be on the receiving end of that gifting, as well. And while I’ll be the first person to send you a “thinking of you” or a “congratulations” or a “hey, I miss you” card, I’m shamefully often the last to send a thank you card. This is something I’m really trying to improve upon in 2019 because I truly am SO thankful for all of the blessings in my life, but I’m just not great at expressing that outwardly to others as often as I should. Thank you cards are SO simple. Just put pen to paper and express your heartfelt thanks for the generosity of the ones you love. But sometimes it can be tricky to find the words to express those things. 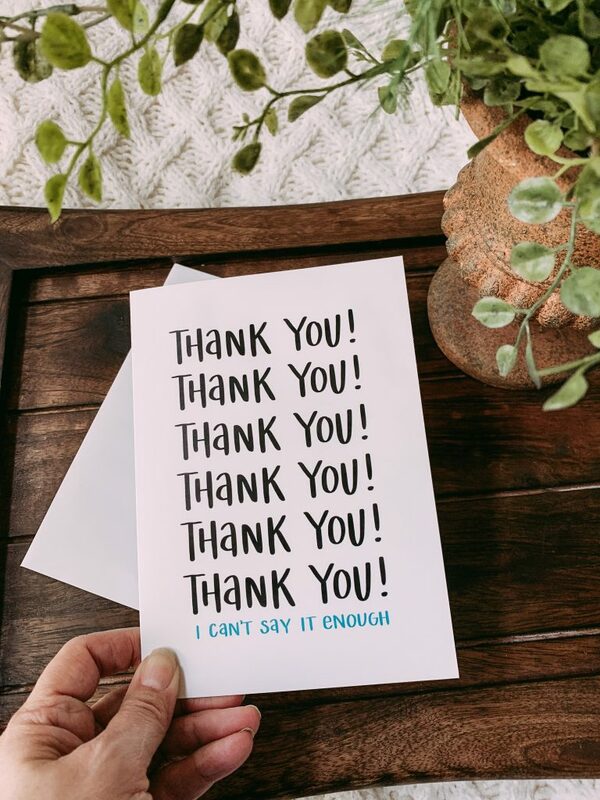 If you search “what to write in a thank you card”, you’ll find all sorts of formulas and etiquette and guidelines for what you should and shouldn’t say, and it’s honestly a little bit overwhelming to start. But once you get it down, it’s like riding a bike, and you’ll be able to express your thanks and appreciation with authentic thoughtfulness always. Below are the two most popular scenarios in which you might need to write a thank you card and some prompts to get you started! This is where my mind usually goes when I imagine writing a thank you card. Maybe it’s your birthday, you just graduated or got married, or your best friend happened to have you on her mind when she was strolling through her favorite aisle in Target. Nevertheless, you’ve received a gift, and now you need to properly thank the giver. To start, make sure you’re being specific on what exactly you received, what it means to you, and maybe even how you’ll use it! -Thank you so much for the beautiful milk glass vase! I love keeping fresh flowers in my kitchen, so this will be put to good use! -I was so thrilled to open up the adorable initial necklace you picked out for me – I’m about to go on a trip to Nashville with some friends, so this is definitely coming along! -The mug you sent for my birthday is so adorable! The verse on it has been on my heart lately, so it came at the perfect time. Thank you! – I just checked my mail, and your card completely brightened my day! I’m so thankful for a thoughtful friend like you. Lending a listening ear, volunteering to bring dinner or watch the dog, assisting with a big move, house-sitting, etc. Maybe a gift wasn’t purchased, but the gift of time or service was given instead. 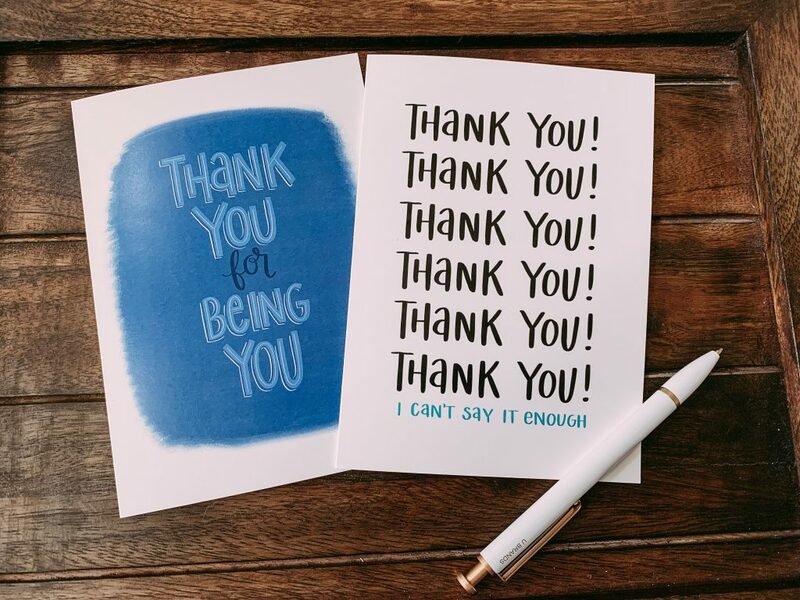 This can be just as or even more impactful depending on your season of life and what you’re walking through, and you need to be able to properly express your gratitude! -Thank you for offering your time this weekend to help me move – you are such a blessing! -I’m incredibly grateful to have a friend like you. Thank you for being there for me during this difficult time. -I can’t thank you enough for the gift of your help lately. I really appreciate all that you’ve done! -You have truly outdone yourself! Thank you for showing up for me friend! No matter what you say, the important thing is that you’re saying something. I often have the best of intentions in thanking someone, and then life gets busy or I get lazy or something else comes up, and before you know it, that kind and thoughtful gift or service that you received has gone unnoticed. Let’s be intentional with the opportunity that we have to shower our people with our love, gratitude, and appreciation anytime we get the chance!